Mr. Anthony Doss received his Bachelor of Science in Biological & Agricultural Engineering from the University of Arkansas in May of 1996. He continued his education at Webster University and received a M.B.A. in December 2010. Mr. Doss began working for Tyson Foods as a Process Engineer in 1995 and is presently the Director of Manufacturing Design. Anthony Doss has received many honors and awards including most recently the University of Arkansas Dale Bumpers College of Agricultural, Food and Life Sciences’ 2011 Distinguished Young Alumni Award, and College of Engineering’s 2012 Outstanding Young Alumni Award. 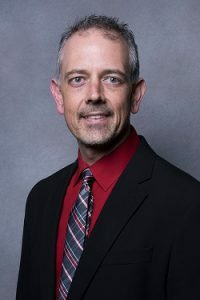 He is a registered Professional Engineer, and a member of the American Society of Agricultural and Biological Engineers (ASABE), U.S. Poultry and Egg Association, and National Society of Professional Engineers.